A friend commented the other day that I sound so confident in my writing about the way I mother and she wished she could figure out how to be more confident too. It really got me thinking. She’s right, I am confident in the way that I mother and so it makes sense that you can pick this up in my writing. I wasn’t always confident though. In fact, I would have to say I was the polar opposite. Insecure, guilt ridden, anxious and vulnerable pretty much summed me up for at least the first 6 months if not 9 months of my baby’s life. So it warrants reflection to see how I have made the transformation I made because I can tell you now, feeling confident in the way you mother feels good. So upon reflection, what helped me become the mother I am today? I have discovered that the source of most of my cases of Mother’s guilt came from situations where I had followed or tried to follow the ‘correct’ path with my baby. The path that mainstream society love to perpetuate. The one where you need to train your baby to do XYZ so you can ‘bounce back’ and return as quickly as possible to a life that closely resembled life before you had your baby. This path was riddled with preconceived ideas, unrealistic expectations, prescriptive ‘fixes’ and scare tactics that had me as a first time mum twisting and turning, worrying and stressing because I had a baby who was nothing like the ‘good’ baby the books and ‘experts’ described. I was so caught up in my head about all the things we SHOULD have been doing, I honestly couldn’t see the incredibly happy, healthy, thriving baby with an incredibly sensitive soul and very busy brain right in front of me. I saw what I was told he should be for all of the lack of sleep – a chronically sleep deprived, cranky, hard to please, clingy little boy who wasn’t doing what he was ‘meant’ to at his age (sleeping more, feeding less). My head raged with guilt as I blamed myself, my baby and then myself again for blaming my baby … A truly ugly cycle. Sleep school itself and the weeks following brought my guilt to new heights. The guilt around this was twofold. The first round was related to our ‘failure’ followed by an even heavier guilt that burdened me for much longer, the guilt that I caused trauma to my child through the sleep training process. As I’m sure you’ve sensed, at this point in my mothering journey, I needed a bloody horse and cart with extra saddle bags to carry around my Mother’s Guilt. It was ugly. It was depressing. The shedding of the weight of this guilt started off slowly. Firstly, by finding my surrender (you can read more about that here) but then it quickly gathered a head of steam as I learned a new way to mother that actually felt good. Felt is the key word. I believe that our true life path, which naturally includes our mothering journey is honoured only by following what is found deep within our heart and soul. It is written in our heart and soul how to be the mother we need to be for our own unique babies. The script of our heart and soul is full of gentleness, compassion, intuition and empathy. It binds us to our baby, to their uniqueness, to their beauty, their struggles, their strengths. This script is constantly evolving. It allows for human weakness (our own and others) and allows us to make amends. So once I started to mother the way that felt right, I lost the uncertainty and worry I had when I was trying to mother with my head. I changed my filter. If something made me feel uneasy or made me squirm. If I intended to do something because it was the ‘right’ thing but felt all sorts of wrong, I confidently put a stop to it. I listened to my heart. I also found my new filter helped me make peace with my guilt ridden self and in particular the sleep school/ training experience. I could see how I got there. I could recall the pain of desperation and uncertainty. Above all, I could see that all of the decisions and experiences were made with only my baby’s best interests at heart. I know better now so I do better but I still did my best at that time. I have forgiven myself and actually wonder if I could ever have become the mother I am without having followed this path first. Life will always throw up situations where guilt will feature, returning to work, change in schooling situations, illness … I know it will appear again, but I hope my filter will always help me process this guilt and help lighten its heavy load. I can honestly say, that although the doubt does occasionally creep in, I am the mother I want to be and I will continue to evolve and grow forever more in this magnificent role. I am not perfect but I don’t need to be. My babies know me in all my humanly glory and that includes my flaws. 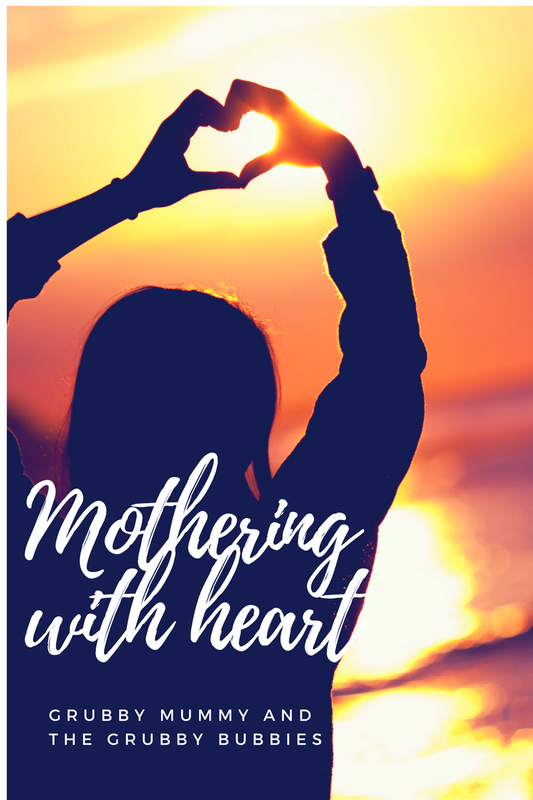 Mothering with heart and soul has truly freed me from the grip of Mother’s Guilt. It’s so so hard to tune everyone else out when it seems that their babies sleep ‘properly’ and you’re the only one not sleep training.